This is my first play. It was written recently with Nelson Mandela in mind as 2018 is his centenary. Then Winnie Madikizela Mandela left us too, so we also had to honour her immense legacy. Performed for the first time on May 8th 2018 in Geneva, Ubuntu Letters’ aim was to build a cultural bridge between Europe and Africa and celebrate the federating spirit of Ubuntu, which means ‘I am because you are’. (click on programme for more information on contributors). Tumi and Tsepiso, two South African teenagers, live a comfortable life in the city of Geneva in Switzerland. Their mother Thandiwe has a stable job at the United Nations and their father Thabo has founded his own NGO. A financial crisis leads to uncertainty in the Thandiwe’s job. The family has to consider moving back to South Africa for good. This is when Uncle Sipho, Thandiwe’s twin brother comes from South Africa for a visit. He is happy to hear that his sister and her family might be coming back home at last but everybody else is tense and worried. From then on, the question of the children’s identity is brought to the fore. Uncle Sipho will be instrumental in guiding his nephew and niece through a painful reconciliation process with their own culture via letters sent from South Africa. The show explores South African history through Uncle Sipho’s letters and Struggle songs. A comment on the teenagers’ European life and education, is also weaved in through the theme of anonymous love letters and friendship. 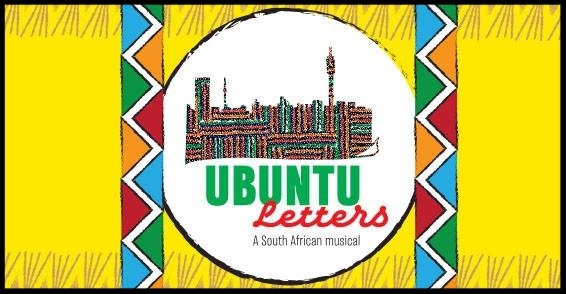 If you would like to help Ubuntu Letters get published or re-staged, send a friend request on Facebook to Estelle Baroung Hughes, to share your advice, insights and useful contacts.